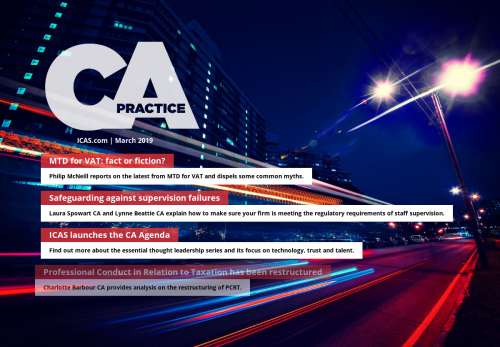 Philip McNeill reports on the latest from MTD for VAT and dispels some common myths. Laura Spowart CA and Lynne Beattie CA explain how to make sure your firm is meeting the regulatory requirements of staff supervision. Find out more about the essential thought leadership series and its focus on technology, trust and talent. Charlotte Barbour CA provides analysis on the restructuring of PCRT.